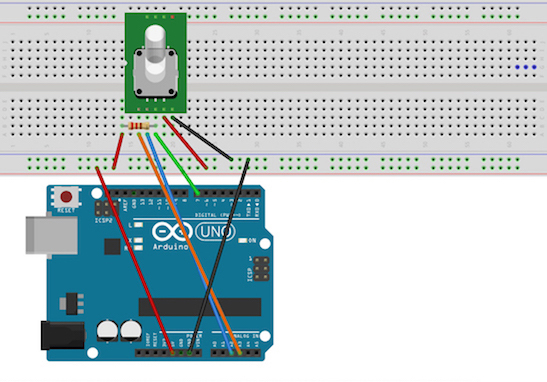 This workshop will teach the basics of using sensors with Arduino and then interfacing with Processing to manipulate images in real time. The workshop will focus on one specific sensor to develop basic skills in both platform. Artists and anyone who would like to start developing interactive applications for their work using open source platforms. Software knowledge and material to work with. Karolina Ziulkoski is new media artist from Porto Alegre, Brazil. She uses technological applications to create immersive experiences that allow for a deeper participatory exchange between stories and audiences. Ziulkoski holds an MPS from NYU’s Interactive Telecommunications program and two Bachelor’s degrees, in Architecture and Advertising. She previously worked at the American Museum of Natural History, where she developed immersive interactive installations for the institution’s exhibitions, and is a founding partner at Bolota, an interactive design company in Brazil. Ziulkoski recently finished a residency at the Laboratory for New Media at the Museum of Image and Sound in São Paulo and is currently a full-time member at New Inc., the New Museum’s incubator for art, technology and design.